Some of us, however, have a baby who cries too frequently or too long and who is difficult to soothe despite all of our best efforts. As parents, we are designed to react strongly to our baby’s crying. We instinctively know that when babies cry, it means something is wrong with the baby that needs to be addressed. Being unable to find the root cause of the crying can create doubts of our parenting skills and create tremendous stress and frustration. A baby’s prolonged and incessant crying can unfortunately even lead some parents to perceive the baby’s crying to be manipulative and in the worst cases this belief can lead to violent outbursts from the parents. Shaken Baby Syndrome, a potential result from such outbursts, can tragically cause irreparable damage to the baby’s brain1. Modern developmental psychology explains that for the first 4-5 months, most babies prefer to look at faces more than at objects. When crawling skills emerge, there is a marked shift in preferences towards objects and exploring the world at large.11 The Amazon Indians accommodate these stages by having more or less constant physical contact by holding babies day and night from birth until the babies, themselves, clearly signal that they want to explore the world and become physically independent of the caregiver. The baby’s emerging exploration of the word, however, does not signal an abrupt end to parent-child contact amongst the Amazon Indians. The children come back frequently for a “refueling” of contact with short bouts of self-initiated hugs. If troubled, the children temporarily stop their exploration and demand to be carried or held until whatever has upset them has subsided. While most babies who experience extended contact with their parents or other caregivers cry less, there are some babies for whom even extensive contact with a primary caretaker does not provide comfort. In these cases, it is recommended that you see your pediatrician for further advice. 1. St James-Roberts I. Infant crying and sleeping: helping parents to prevent and manage problems. Prim Care. 2008;35(3):547-567, viii. doi:10.1016/j.pop.2008.06.004. 2. Blum D. Love at Goon Park: Harry Harlow and the Science of Affection. Second Edition edition. Cambridge, MA: Basic Books; 2011. 3. Pryce CR, Aubert Y, Maier C, Pearce PC, Fuchs E. The developmental impact of prenatal stress, prenatal dexamethasone and postnatal social stress on physiology, behaviour and neuroanatomy of primate offspring: studies in rhesus macaque and common marmoset. Psychopharmacology (Berl). 2011;214(1):33-53. doi:10.1007/s00213-010-1989-2. 4. Morgan BE, Horn AR, Bergman NJ. Should neonates sleep alone? Biol Psychiatry. 2011;70(9):817-825. doi:10.1016/j.biopsych.2011.06.018. 5. Anisfeld E, Casper V, Nozyce M, Cunningham N. Does infant carrying promote attachment? An experimental study of the effects of increased physical contact on the development of attachment. Child Dev. 1990;61(5):1617-1627. 6. Hunziker UA, Barr RG. Increased carrying reduces infant crying: a randomized controlled trial. Pediatrics. 1986;77(5):641-648. 7. Bowlby J. Attachment: Attachment and Loss Volume One(Basic Books Classics). 2nd edition. New York: Basic Books; 1983. 8. Myers MM, Grieve PG, Stark RI, et al. Family Nurture Intervention in preterm infants alters frontal cortical functional connectivity assessed by EEG coherence. Acta Paediatr Oslo Nor 1992. 2015;104(7):670-677. doi:10.1111/apa.13007. 9. Feldman R, Rosenthal Z, Eidelman AI. Maternal-preterm skin-to-skin contact enhances child physiologic organization and cognitive control across the first 10 years of life. Biol Psychiatry. 2014;75(1):56-64. doi:10.1016/j.biopsych.2013.08.012. 10. Liedloff J. The Continuum Concept: In Search Of Happiness Lost. Reprint edition. Reading, Mass: Da Capo Press; 1986. 11. Murray L. The Psychology of Babies: How Relationships Support Development from Birth to Two. Robinson; 2014. 12. Who’s in Control? – by Jean Liedloff. http://www.continuum-concept.org/reading/whosInControl.html. Accessed July 1, 2016. 13. 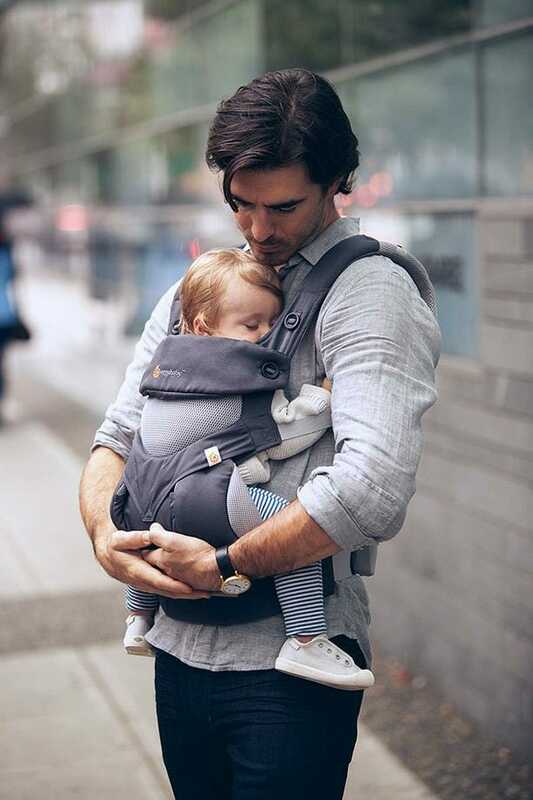 Choosing a Baby Carrier | Babywearing International. http://babywearinginternational.org/what-is-babywearing/choosing-a-baby-carrier/. Accessed July 1, 2016. 14. Find a Consultant — Center for Babywearing Studies. 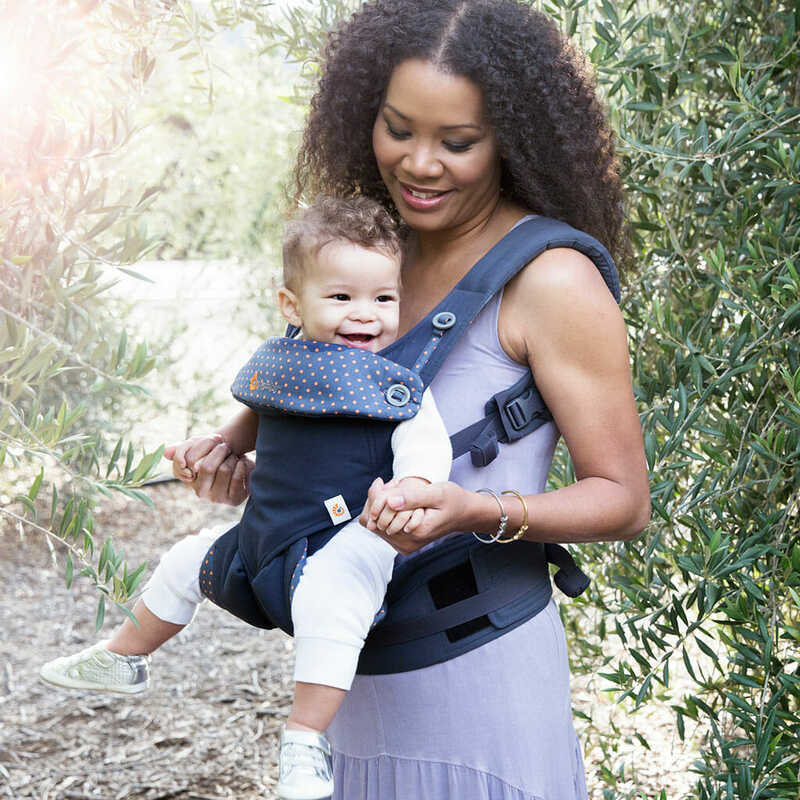 http://www.centerforbabywearingstudies.com/california/#find-an-babywearing-educator. Accessed July 1, 2016. 15. Cong X, Ludington-Hoe SM, Hussain N, et al. Parental oxytocin responses during skin-to-skin contact in pre-term infants. Early Hum Dev. 2015;91(7):401-406. doi:10.1016/j.earlhumdev.2015.04.012. 16. Moberg KU. Oxytocin: The Biological Guide to Motherhood. Plano, TX: Hale Publishing; 2015. 17. Abraham E, Hendler T, Shapira-Lichter I, Kanat-Maymon Y, Zagoory-Sharon O, Feldman R. Father’s brain is sensitive to childcare experiences. Proc Natl Acad Sci U S A. 2014;111(27):9792-9797. doi:10.1073/pnas.1402569111. Insider tips on exploring Berlin with your little ones – something for everyone!